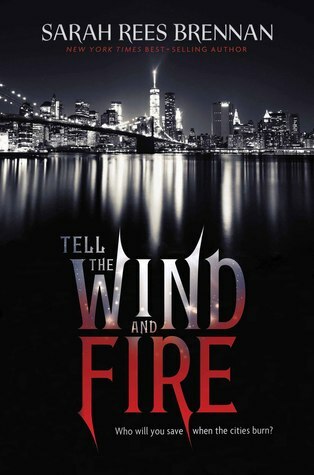 Synopsis: (Goodreads) Tell the Wind & Fire is about a young girl called Lucie who lives in a New York very different from the New York we know: the city is torn between two very different kinds of magic, and Lucie’s own family was torn apart years ago by that conflict. Lucie wears magic rings and carries a burden of guilt she can’t share with anyone. I have read a few books now by Sarah Rees Brennan so I was quite eager to read Tell the Wind and Fire, especially since it is a retelling of Charles Dickens A Tale of Two Cities with a futuristic twist. Our MC is Lucie, confident and brash I really came to like her character; her boyfriend is Ethan, overly perfect, kind and caring and then we have doppelganger Carwyn who I found perfectly imperfect; I think this book could have been faultless if we could have read each of these characters POV’s to get to know them on a deeper level, I think we only got to see a snippet of their personalities through Lucie's eyes. I didn’t absolutely love these characters as much as those I have previously read in SRB’s books but they were each likeable; as I mentioned before if we could have gotten to know them a little better I could have connected with them a little more. The world-building wasn’t without flaws but it worked for me - the futuristic NY setting did work well; I would have liked more details about the rebellion and Lucie’s connection. The magic system is original, I like the way the dark and lights were explained, it wasn’t used as a backdrop which can be extremely unsatisfying; it was an important facet to the story but I would have liked to have seen it more in action. SRB’s writing is wonderful, I was hooked from the very beginning; I think she has created a unique retelling that did Dickens story justice. Make sure you have the tissues handy because it is quite emotional. I liked how each of the characters dealt with their own issues in a realistic way; I was satisfied by the end. Overall, a book filled with mystery, tragedy and intrigue; it kept me highly entertained from the very first page but you'll definitely need the tissues for this one! 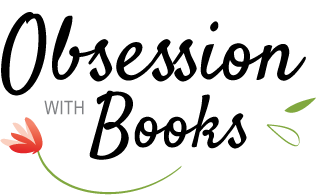 Thank you to Clarion Books via Edelweiss for the opportunity to read and review Tell the Wind and Fire by Sarah Rees Brennan. Despite flaws and not loving the characters I am glad it worked and that is what counts.